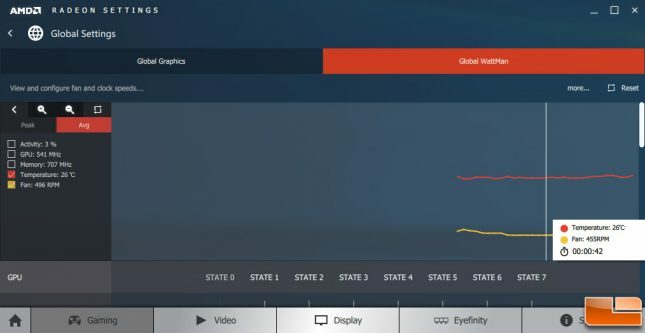 The gaming performance on a graphics card is the most important factor in buying a card, but you also need to be concerned about the noise, temperature and power consumption numbers. 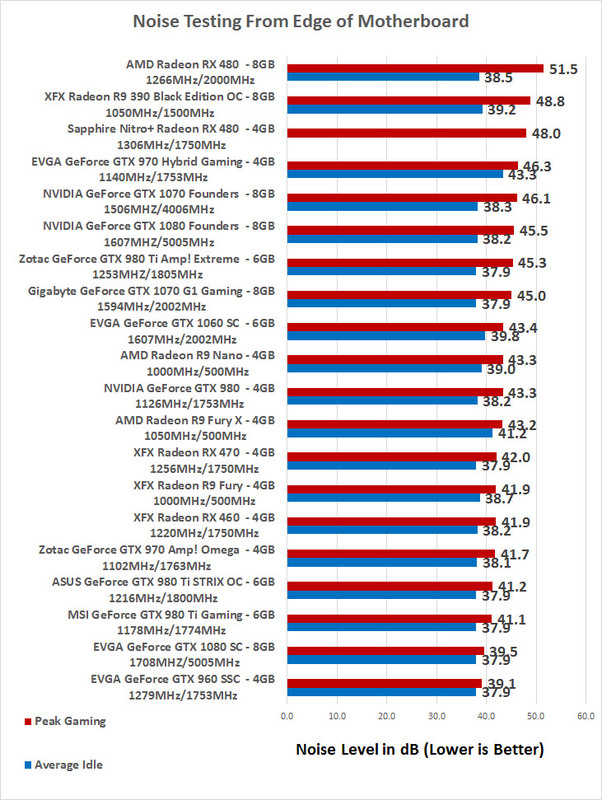 When it comes to temperatures the XFX Radeon RX 460 4GB Double Dissipation graphics card ran at 38C at idle on our our open air test bench and the fans were spinning at 500 RPM. The screen shot above is from a cold boot to show that the Double Dissipation fans were spinning even though the temperature of the card was just 26C! While gaming the card topped out at its target temperature of 65C and the fans were spinning at roughly 2,000 RPM. Not bad temperatures! The XFX Radeon RX 460 4GB Double Dissipation is supposed to be a 0dB graphics card, but the fans never stopped running on ours. The XFX Radeon RX 460 4GB Double Dissipation topped out at 41.9dB, which is pretty good!